Each one of these Silver Thread tapestries represents at least 5000 sewing hours clocked up by an army of volunteers. 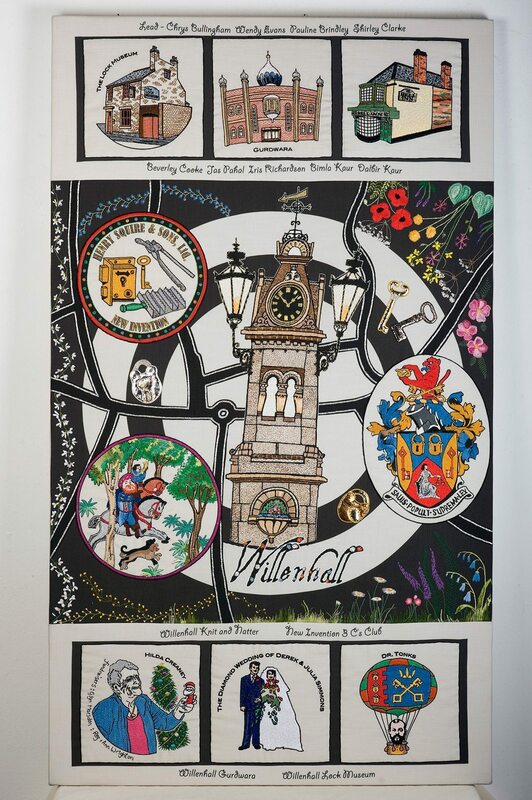 The final inspiration of Walsall Council’s Creative Development Team, the project ran for nearly a year and involved hundreds of local people, both as storytellers and sewers. 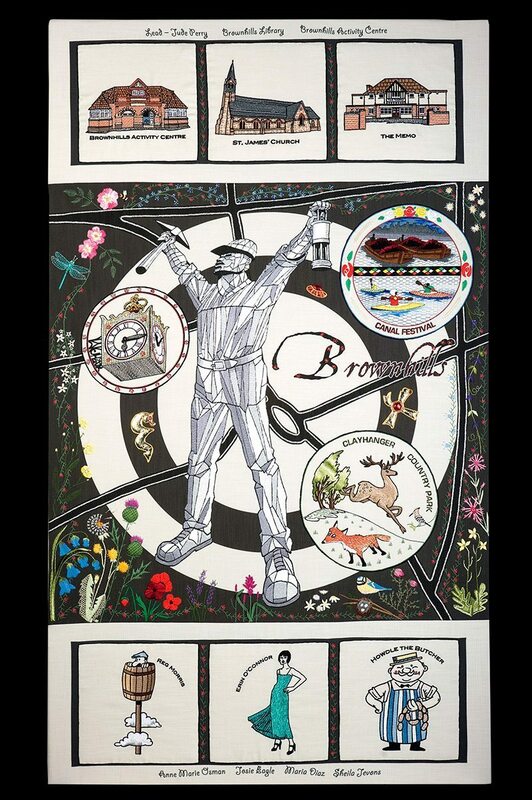 People came from far and wide during the first three months of the project, to have their say on what should feature in each tapestry. 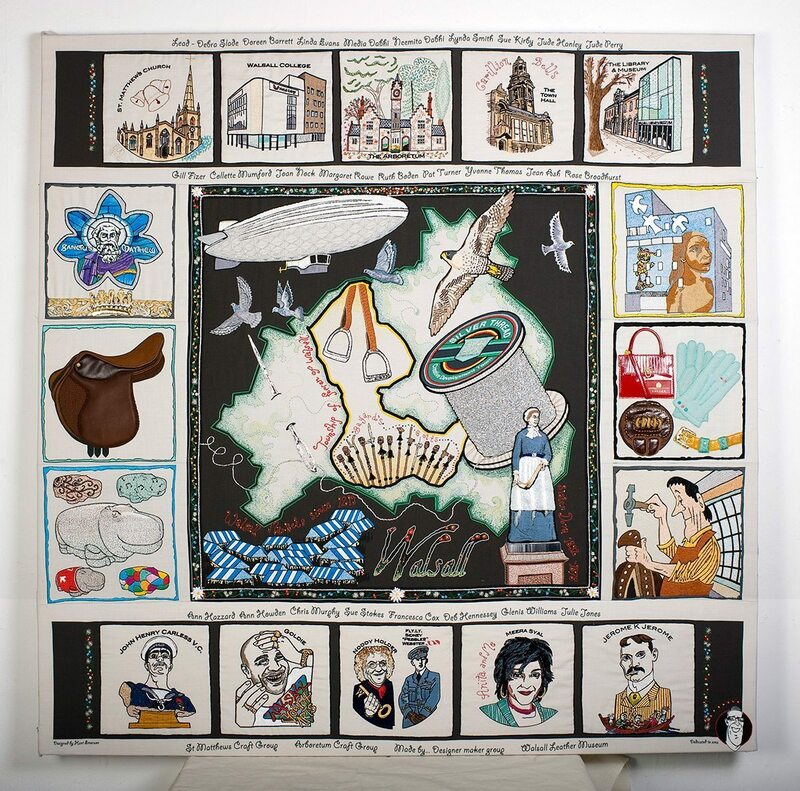 Artist Hunt Emerson turned their stories into illustrations which were then loving stitched into more than 12 square metres of fabric. 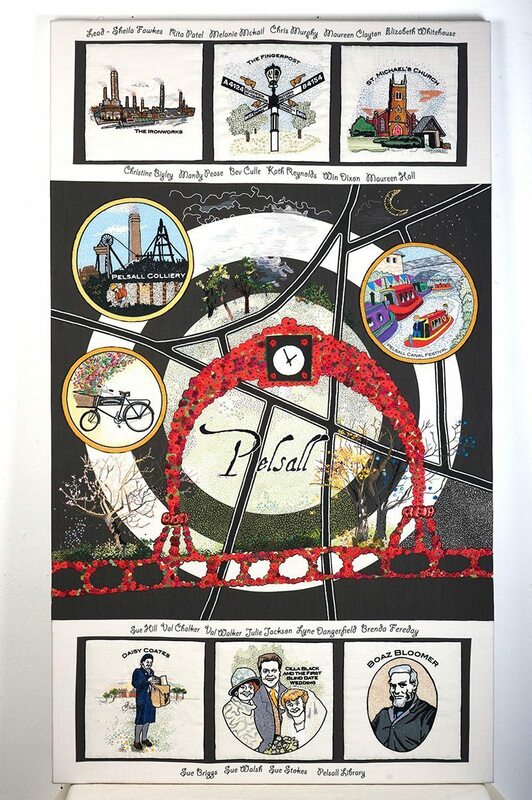 Each tapestry features a different area of the borough, capturing Walsall’s living history and diverse geographical communities. 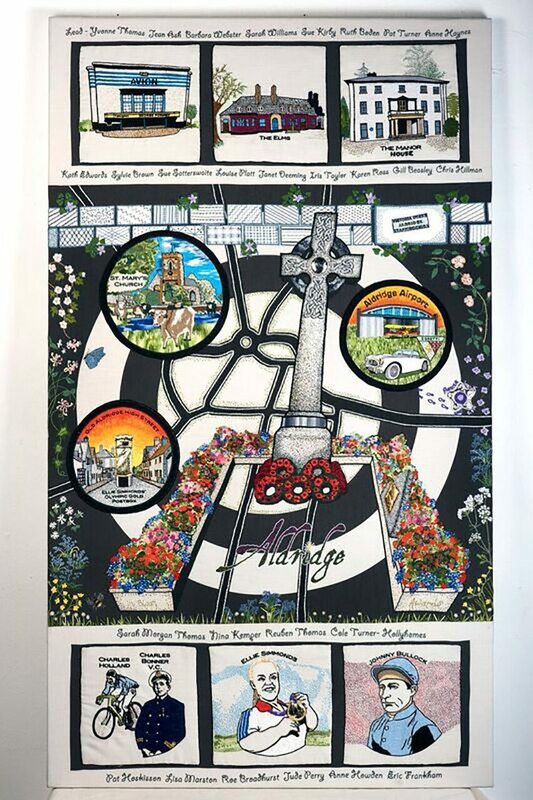 The project was the brainchild of Creative Development Team Manager Maxwell Bailey who wrote a successful funding bid to Arts Council England. 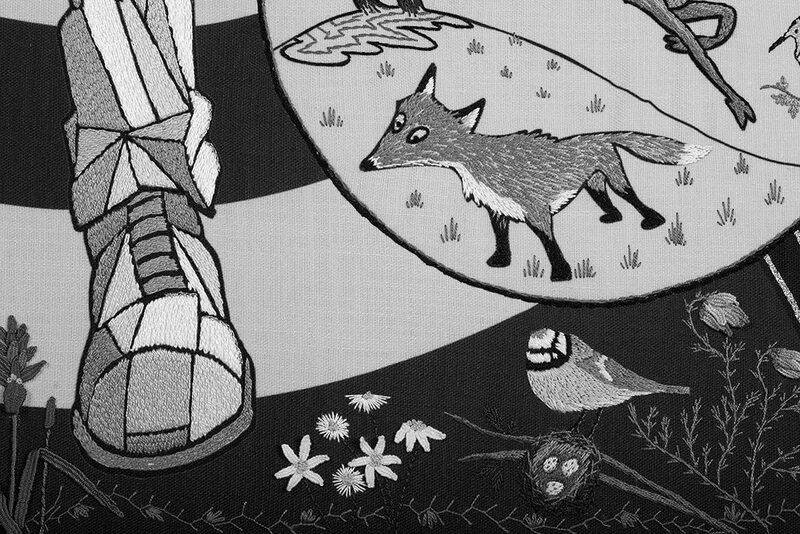 Sadly Max died before seeing the final tapestries completed, having fought a four-year battle with cancer. Rather poignantly, Silver Thread also became the last project for the Team which was disbanded due to Council savings in 2016. 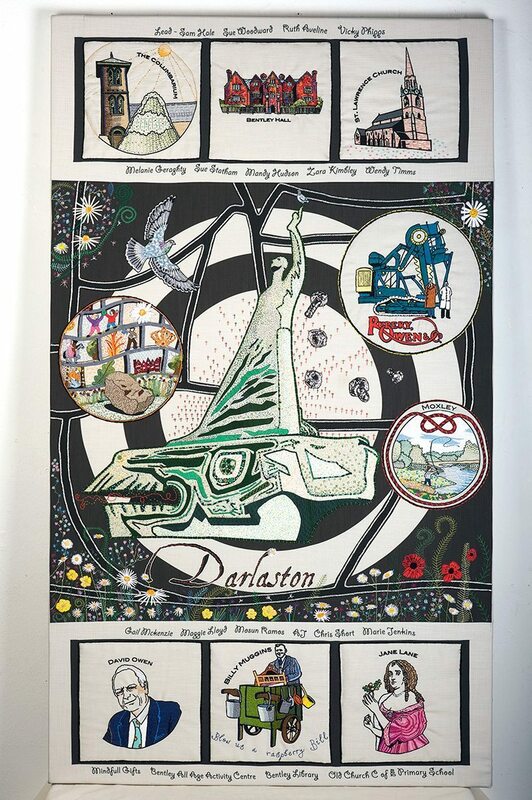 Everyone involved in Silver Thread had an amazing experience so please take time to view the tapestries as they go on their travels. 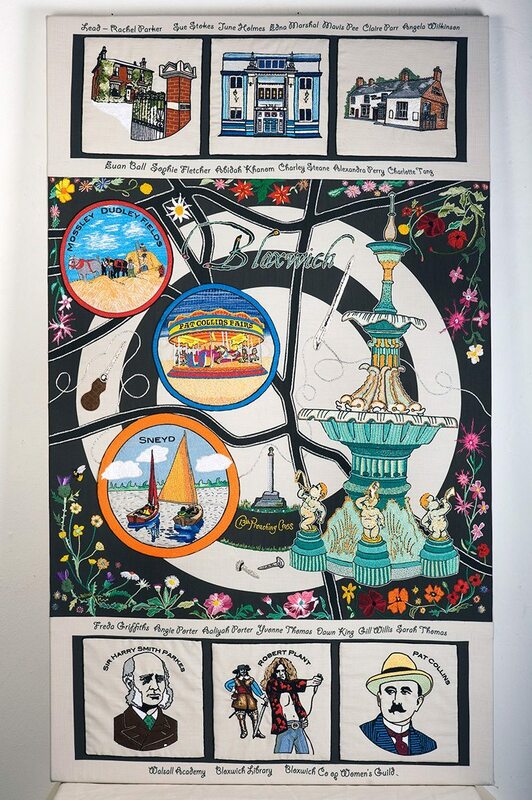 Visit our Facebook page for news, special events, local history and embroidery inspiration! Like the page to keep updated in your news feed.